cam gouws. portraits of a surfer. — |tim| gerges. photographer. cam gouws. portraits of a surfer. I’m really not enjoying winter. I know some people love it; I wish I were one of those people. Not used to the cold, wet Cape winters, it does take some extra motivation getting out of bed – it rains for days at a time here – and we haven’t even hit the worst of it yet. My tea consumption levels have surpassed what’s healthy. I miss summer. In light of my reminiscing about the long, warm days of yore, I thought I’d post some photos from a friendly shoot I did with Cam Gouws earlier this year, as we enjoyed the last moments of summer. 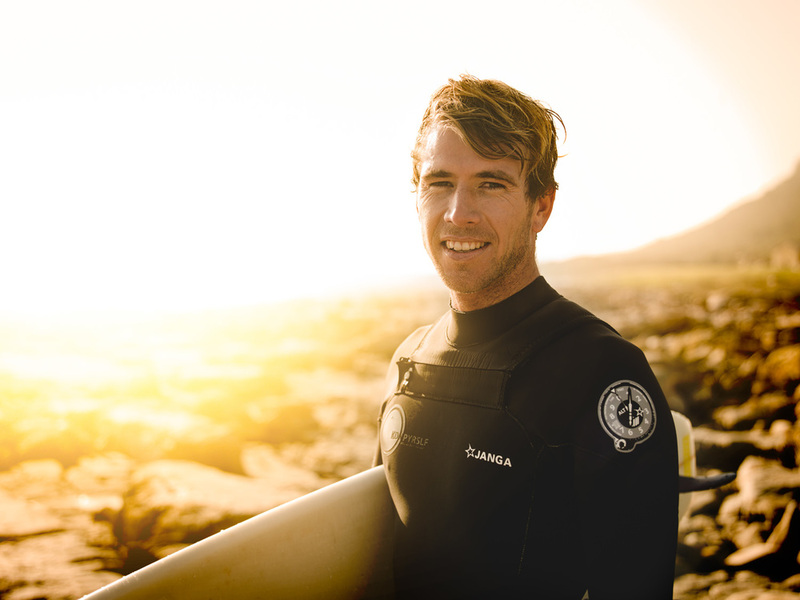 I went with my mate to shoot some surfing - I used my Canon 5DMK3 and 70-200 f2.8 L IS to shoot the action, but I was dying to play with my Hasselblad – the latest addition to the family – so I used that to take some portraits of Cam after his surf. The Hassy (Dakota, as she is more affectionately known), is a dream to shoot with, and the results are always spectacular. I won’t bore you with discussions about file size, resolving lines and all the quirks that make a Hasselblad a Hasselblad - while those things matter, that’s not why I love shooting with Dakota. These images were shot in all natural light in the great afternoon summer sunshine, and I shot wide open the whole time, which on the 50-100 is between 3.5 and 4.5. I’d love to hear what you think, maybe drop a comment on social media? If you're on Instagram, find and follow me here, and if you're on facebook, like my page here.